Are you thinking of remodeling your bathroom? If you think about it, you spend a lot of time in your bathroom, and you should be comfortable in it. A plain bathroom is boring, and after a long day working, it’s nice to be able to relax in the bath, or enjoy a long shower in a well-designed bathroom. Whether you want a large whirlpool tub, a marble sink, or just a new bathroom vanity, the professionals behind Outer Banks Kitchen Renovations, CK Custom Kitchens, can give you what you want. Thankfully, Custom Kitchens has extensive experience in bathroom renovations, and know all the latest trends in bathroom design. They will walk you through the whole design process from beginning to finish, and answer any and all questions you might have. And by filling out the contact form on this page, you’ll have the $200 dollar design fee completely waived. We’ll design a 3D computer model to show you what your newly remodeled bathroom will look like before you buy it. 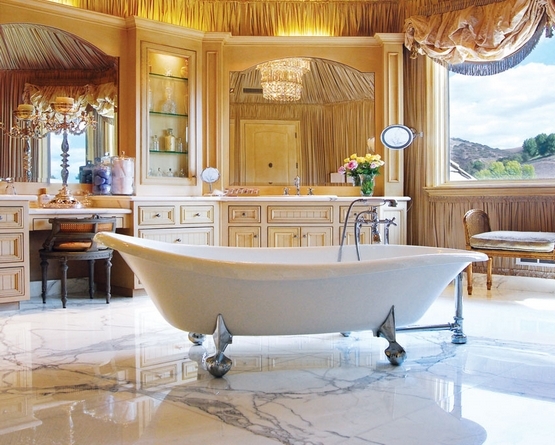 A bathroom can be one of the most beautiful rooms in your home; don’t you think you should be proud of yours?